Be At Home provides creative housing supports for people with developmental disabilities and their families who are looking to make the next move in their life. Whether it be living on your own or with someone in a shared living environment, Be At Home can help you imagine a plan for, and find a living situation that works for you. 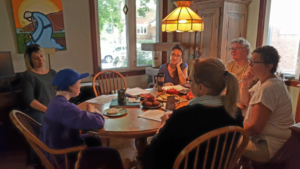 Our Creative Housing Coordinator will work with you and your family to find the supports you need to move forward on housing options that respects your choice, voice, security and safety. Be At Home also offers print materials and other resources that can assist with the next move in your life. Learn more about living on your own and supports to help you with the stages of your housing goals. Through the generous support of our funders we are able to provide supports at no cost to adults with a developmental disability. The best place to start is to call us and see if you are a fit for Be At Home. 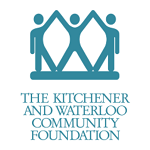 Thanks to the generous support of the Kitchener and Waterloo Community Foundation.